“Hey, Tara, I want to paint you” - when my former customer told me that one day, I said to my husband I love him, but NYC will be my boyfriend forever. When I arrived in the Big Apple from Shanghai, I was so excited about everything; my senses were heightened: the smell of bagels, wildlife sightings on the metro tracks, graffiti art on Bushwick walls, and love stories being experienced on Central Park benches. Every morning I could not wait to leave my apartment to join this fantasy city. One day working in an art gallery, I was pleasantly approached by an artist, Claire; she came to me and justly asked ”Hey, Tara, do you have time next Wednesday? Could you be my model, I want to paint you! I love your sense of aesthetics, a bit sweet, a bit dark.” I was so dumbfounded and never thought this would happen to me. My next immediate thought -- how to represent myself? Without hesitation, I picked my attire that would ornate my modeling, and one of the items are my beloved Dr. Martens high boots. These boots were gifted on my first birthday in NYC. 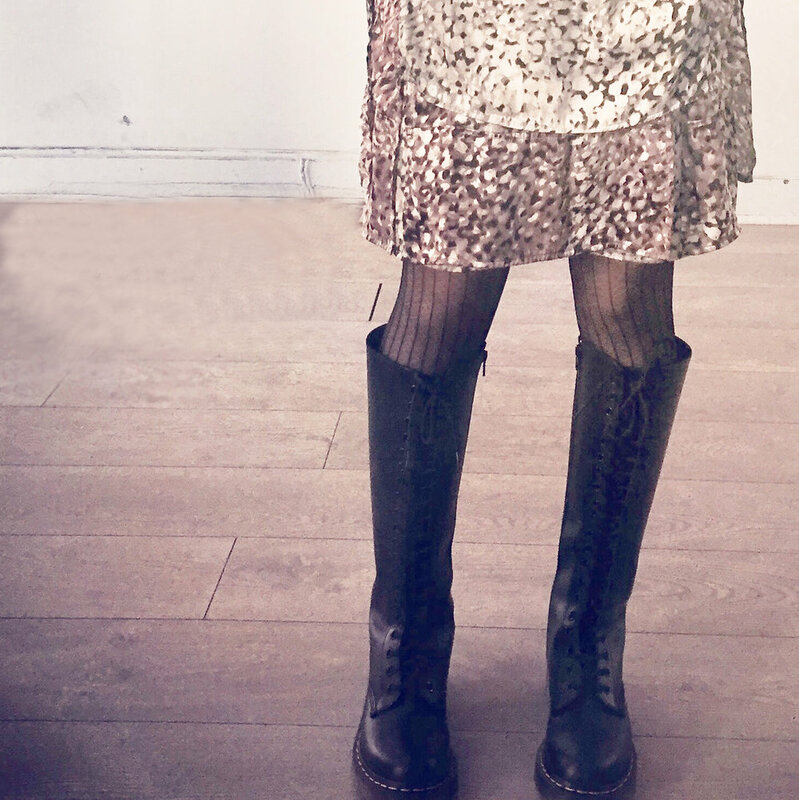 I like the spirit of Dr. Martens: tough, punk, rebellion, unisex, strong, everything I want to associate with myself. It is funny to say how a pair of shoes can give you what you want and show people what you want them to see.